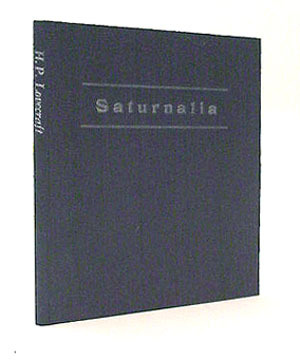 SATURNALIA, (1996): A poem by H.P. Lovecraft regarding a holiday for Saturn in ancient Rome. 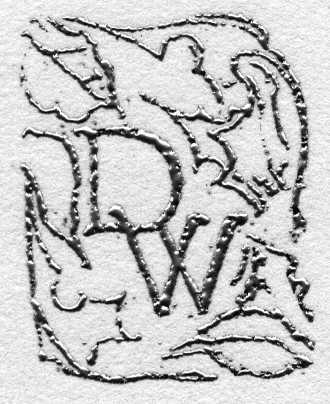 Handset in the font Twentieth Century Modern printed on Domestic Etch paper. Original collagraph image, border embossments and wood engraving by Chad Pastotnik. Pamphlet stitched with full wrap Ingres Antique black covers letterpress printed in silver and silver foil stamped spine. 8 pages, 3 illustrations, 5 x 5 1/4 inches. 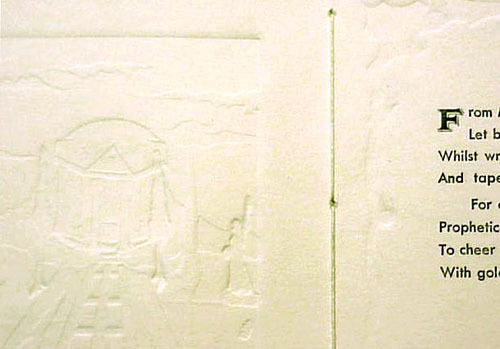 Shown above is a detail of the Collagraph illustration and border in the center spread of the booklet.